 Q&A: Maximizing Profits in Hospital-based Radiology Practices, Part 2 - ONRAD, Inc. Here, MMP’s David Stone talks HIPAA 5010 and ICD-10. In your estimation, how significant will HIPAA 5010 be on hospital-based radiology practices? The potential impact on physician cash flow can be huge if practices, billing system vendors, clearinghouses, and payers have not made and thoroughly tested the required changes. Are there any ways radiology practices can use the advent of ICD-10 to their strategic advantage? In the short-term, most practices are focused on just trying to figure out training and implementation. In the long-run, the practices with the best data will win. ICD-10 significantly increases the granularity of healthcare data. The strategic advantage of ICD-10 lies in being able to capture the data and use it to evaluate, and ultimately reduce, healthcare costs in the future in an Accountable Care Organization environment. What is your advice for practices preparing for 5010 and ICD-10? For 5010 the best advice is to test, test, and test! At this late stage of the game, practices must understand where they are in the testing process with their major payers and hospitals. For ICD-10 the best advice is to start now. The deadline is closer than you think. Begin initial planning, analyzing current business processes, and developing an impact analysis. Do not believe that this change only affects your coders and that you do not need to be concerned about it, as this will affect all radiologists. David Stone is the executive vice president of Medical Management Professionals, Inc. (MMP) and is responsible for creation and administration of MMP’s quality assurance plan. Mr. Stone graduated from Vanderbilt University with a degree in business administration. He is a member of Radiology Business Management Association, Medical Group Management Association, Tennessee Medical Group Management Association and Healthcare Billing and Management Association. Click here for Q&A Part 1 on practice operations.